Want a quick, easy and most importantly FREE way to make your photos look great? These four tools won’t let you down. Have you ever taken a photo that was just perfect—except for one tiny detail? Or do you ever end up with pictures that are too dark, too bright, or just a touch blurry? These days, you don’t have to settle for what you captured in the frame. These four tools will let you easily apply photo filters, make corrections and share your work, completely for free. 1. Instagram. Instagram is perhaps the most widely known photo filter app, and there’s a good reason for that: it’s easy to use and it’s already wired into a giant social network. Unlike many photo sharing services, you won’t have any problems finding your friends on Instagram. The tools it offers for photo editing are effective but basic, with an emphasis on simplicity. Instagram’s true strength is making sure you can make the edits quickly and then easily share them with the world. Instagram is available for both iOS and Android. 2. Snapseed. 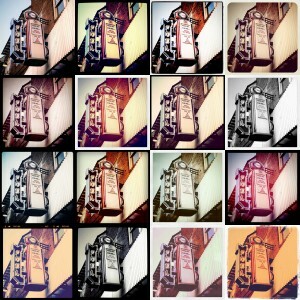 Also available for both iOS and Android, Snapseed is in many ways Instagram’s opposite. While sharing is supported and easy, its focus was never on creating a large social network. Instead, Snapseed focused on delivering more in-depth filtering/editing tools. Some of the best features include an AutoCorrect that lets the app clean up your picture for you, and the useful ability to make changes to just one area of your photo—not the whole image. 3. PicMonkey. What if you want to edit photos on your computer, not on a phone or tablet? PicMonkey has you covered. This simple photo editor works in any internet browser, with no software installation needed. For a free browser program, it’s surprisingly robust, offering not a just basic color correction but a variety of filters, spot touch-ups and text/image support to make great memes and graphics. Fire it up for yourself here! 4. Pixlr-o-matic. Available as an app or for use on your browser, Pixlr-o-Matic is the most powerful free tool on this list. It offers filters numbering not in the dozens but in the hundreds, along with an impressive variety of tools like adding borders, special effects, spot corrections, and fine-tuned color adjustments. Unlike the options above it allows layered effects and gives a preview of what a filter will look like. If you’re willing to go down the rabbit hole of photo editing, you won’t find a better free choice. What are your favorite photo filters? This entry was posted in Blog, Photography Tips and tagged how to filter photos, photo filter reviews, photo filters by ScanMyPhotos.com. Bookmark the permalink.